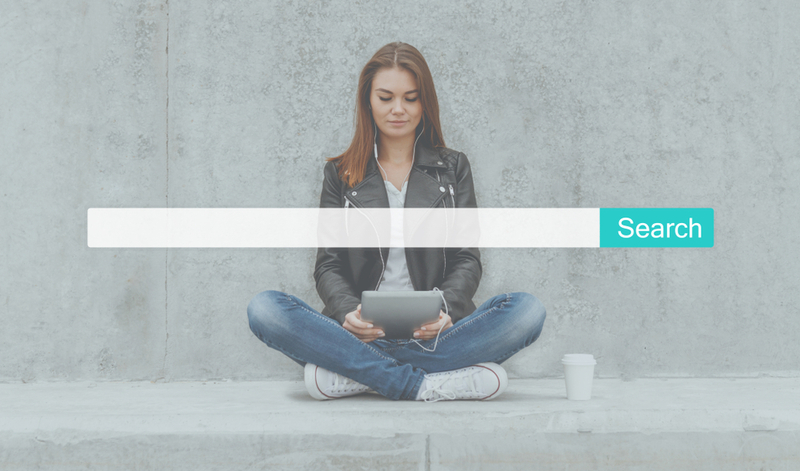 Recently, there have been some seismic shifts in the natural order when it comes to search. For many years, Google has been the undisputed king. However, the “front door to the internet” is no longer on top when it comes to product searches. Retail giant, Amazon, is now leading the way. When we look at how ecommerce has grown in the past few years, it’s easy to see just why Amazon search is the preferred choice of consumers today. While Google Ads continue to drive traffic, Google’s dominance is now under threat. Amazon has enjoyed an astonishing rise in search, especially when it comes to products. Here are several key reasons why people are opting for Amazon search when it comes to online shopping. 55% of online consumers start their search with Amazon. People that go to Google first are in the ‘research’ phase, whereas the people who go to Amazon first are further along the buyer’s journey. People on Amazon have buyer intent. Data from Merkle indicates that users click on Amazon headline ads 42% more than they do on Google Ads. Furthermore, these ads from Amazon convert at more than three times the rate of Google’s ads. This is tied to the previous point, where people are visiting Amazon with the intent to make a purchase. Therefore Amazon’s ads are more valuable than Google Ads. One of the biggest causes of the increase in Amazon search dominance comes down to mobile use. Mobile commerce has grown year-over-year, and it is projected to account for more than 50% of all US ecommerce by the year 2021. Considering that Amazon’s mobile app is among the most popular apps with millennials, we can expect the gap between Google and Amazon product searching to widen in the next few years. Amazon’s ability to convert visitors is unparalleled. The company has truly mastered online retail, and much of that comes down to their smart strategies for ecommerce personalization. 35% of Amazon’s revenue comes from its advanced personalized recommendation engine. The younger demographic is the most likely to buy online. Amazon has already made moves to leverage this by teaming up with Snapchat to offer visual search and social shopping. Although it hasn’t gone mainstream yet, voice search is definitely growing. Amazon is already established in this space, while Google is lagging behind. Projections from BI Intelligence estimate that more than 30% of adults will be using voice to make online payments by the year 2022. And remember your friend Alexa (aka Amazon Echo), she is already ready to take your order via voice command. Amazon has come a long way from its humble beginnings. It has recently become only the second $1 trillion company and shows little signs of slowing down. With well-established services in publishing, content streaming, and marketing, their advertising clout is virtually unrivaled. By backing Snapchat ahead of Instagram Stories, Amazon is causing more disruption for the latter’s parent company, Facebook. Now, it is muscling in on Google’s search territory, effectively causing a storm among the digital giants. But here’s the thing: Amazon is fantastic at serving the consumer. The customer-centric approach runs deep with Amazon, and it’s through the ability to offer great value on a personal level that it has been able to be so successful. That alone makes Amazon tough opposition for any company, even one as big as Google. There’s a new king in town, and when it comes to online shopping, Amazon may well rule for quite some time.